La Falda is a small, beautiful town just outside the city of Cordoba, Argentina. Resting peacefully in its stunning rolling hills is an abandoned building that was once one of the most opulent hotels in the country. The Eden Hotel certainly is a haunting location, not just for its crumbling though once glorious interior, but its historical connection with Nazi Germany. 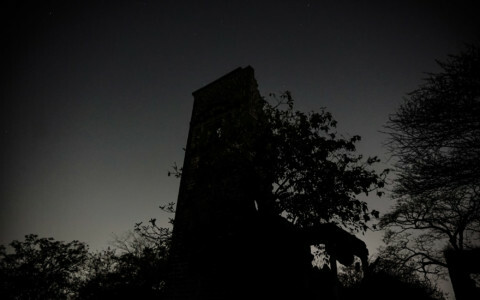 Today, the location still exists and is thought to be one of the most haunted places in Argentina. 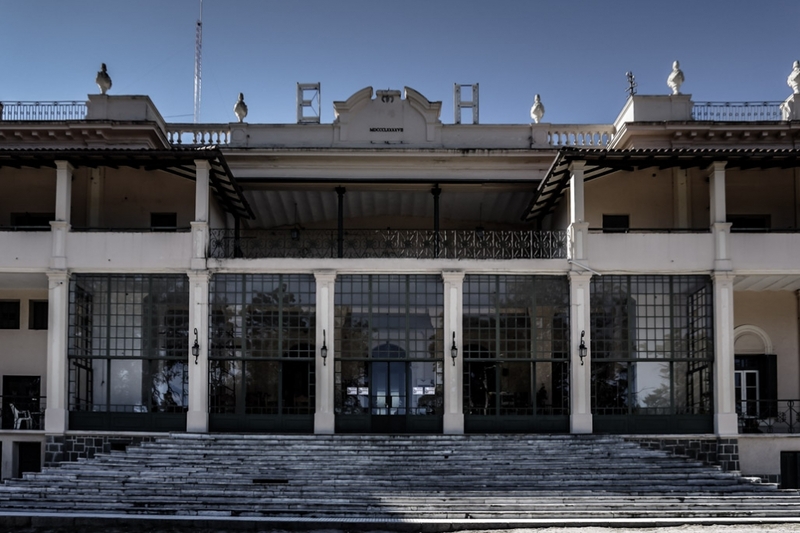 The exterior of the haunted Eden Hotel in La Falda, Argentina. Adorned with the initials E H.
The Eden Hotel was built in 1897 by a German man who was renowned for creating hotels. Soon after it was sold onto a wealthy, prominent and influential German family, the Eichorn’s. Walter and Ida Eichorn worked hard to transform the Eden Hotel into a magnificent and luxurious place. It fast became an opulent retreat for wealthy and famous figures. The Eden Hotel saw many high-profile guests throughout its lifetime including government officials from both Europe and Argentina, as well as actors and even the great Albert Einstein. 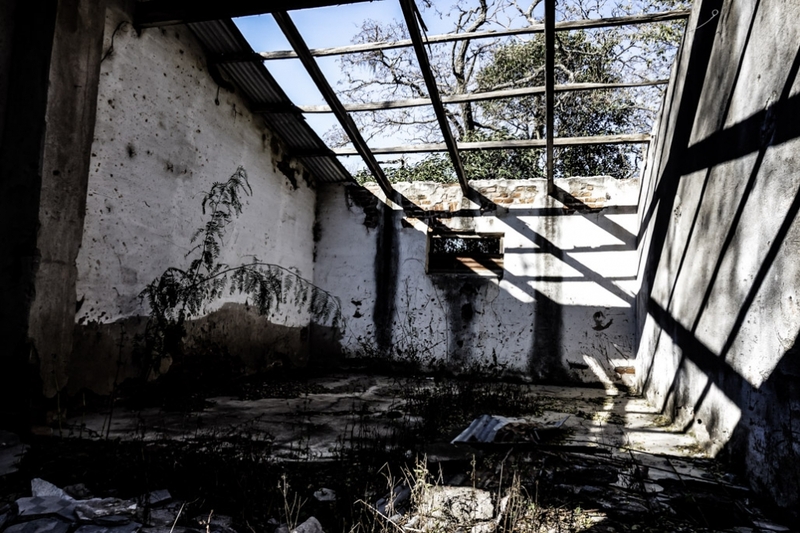 Inside the upstairs of the abandoned Eden Hotel in La Falda, Argentina. Though the Eichorns established a great and beautiful hotel they were also closely related to and funded Nazi Germany throughout WWII, having close ties with Hitler himself. It is told that the couple even received a congratulatory signed photo from Hitler, to commemorate their anniversary. The hotel even became a retreat for high end Nazi officials and remained the only contact station to Europe during the war. On top of La Falda’s Eden Hotel’s roof. These ties saw the hotel eventually seized by the Argentinian Government as enemy property during the war, which triggered the decline of the hotel. After the war, multiple attempts to restore and reinvigorate the hotel were made, yet all failed to bring the building back to life. This caused the abandonment of the Eden Hotel, looting and vandalism. 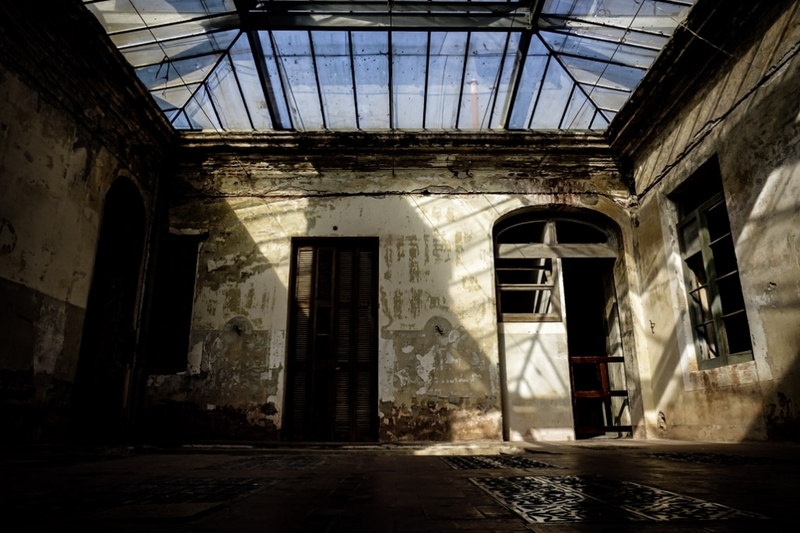 Looking inside one of the many crumbling, abandoned buildings of the Eden Hotel in Argentina. 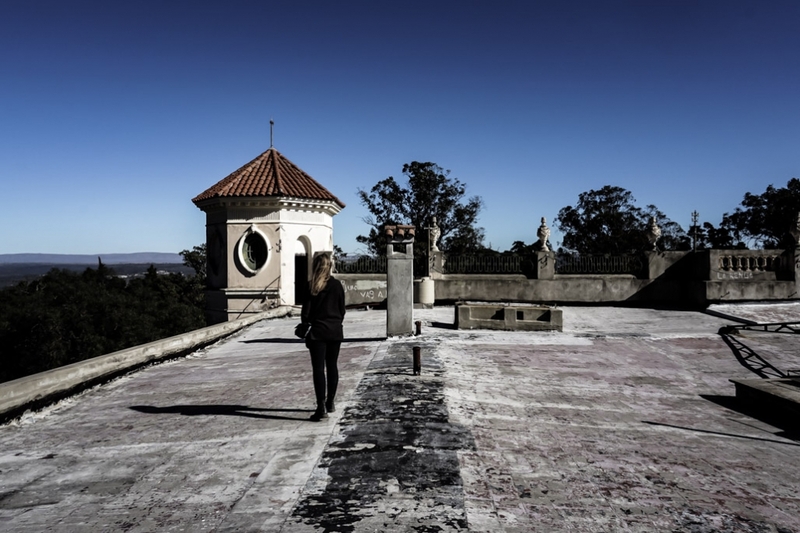 Today, the Eden Hotel still stands and is in the midst of restoration efforts, though the legends of its past weigh heavy on the property, so do some ghost stories. 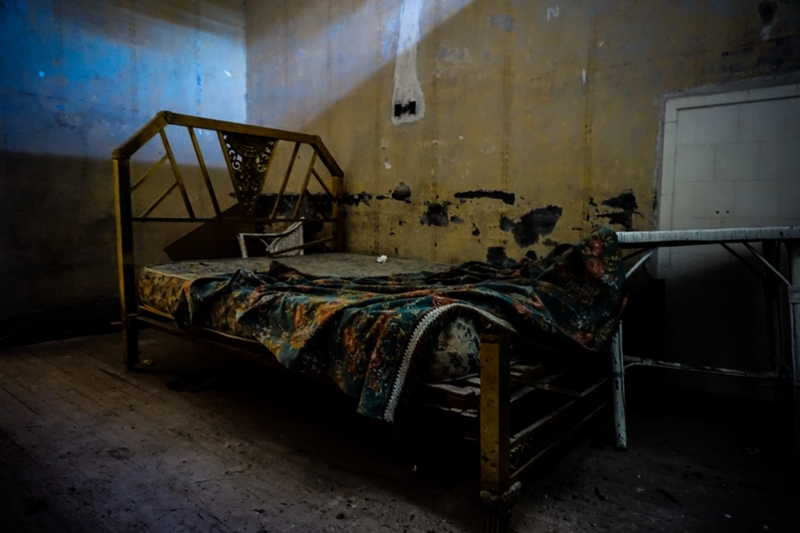 A bed rotting away in one of the Eden Hotel’s former hotel rooms. Abandoned buildings that are surrounded with dark history and have decayed as beautifully as the Eden Hotel tend to attract ghost stories. The Eden Hotel certainly has a few to share. 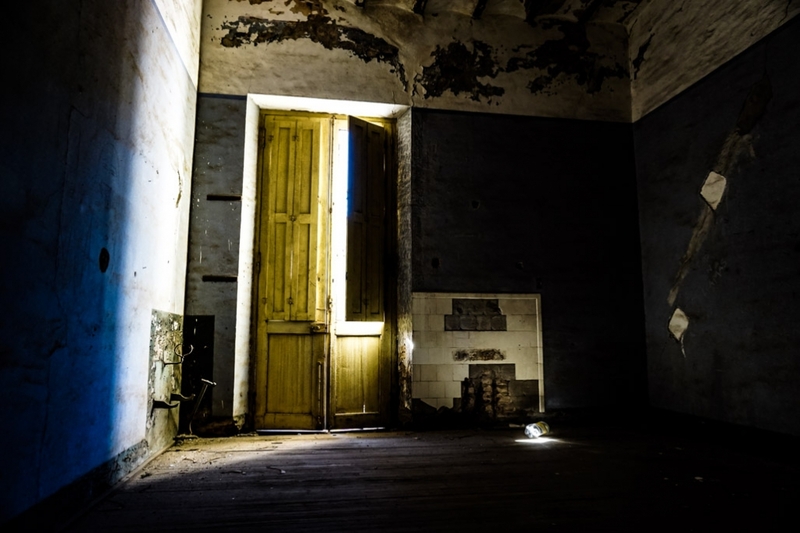 Light peering into an empty dark room on the haunted upper floors of the abandoned Eden Hotel. 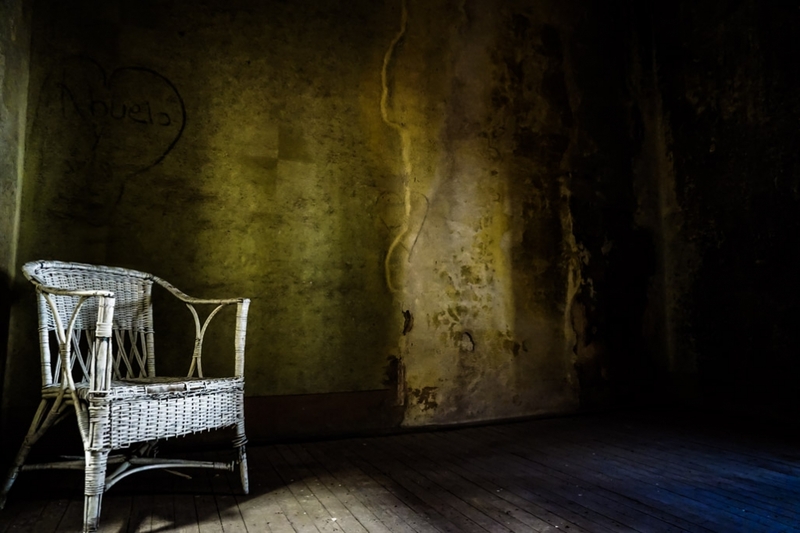 The most commonly sighted ghost of the Eden Hotel is that of a little girl. 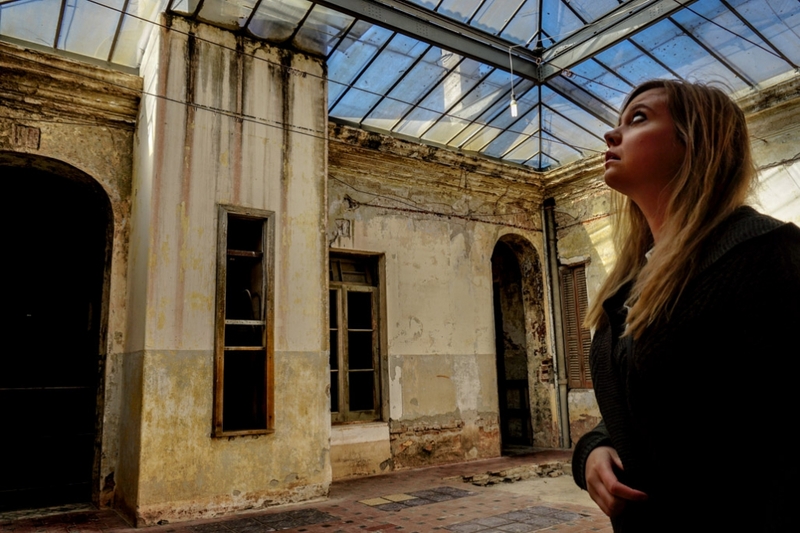 Many have spotted her wandering the upper floors of the former hotel, before disappearing into thin air. She is believed to be the daughter of the Eichorns, who died at a young age within the hotel. 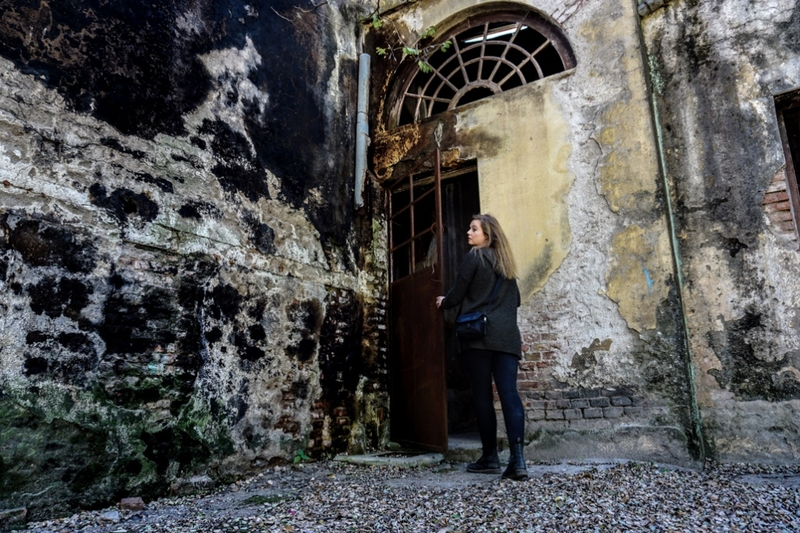 Exploring the outside of the haunted Eden Hotel in Argentina. Others also claim to have seen the apparitions of a woman, babies and a waiter, all who are believed to have died within the hotel. 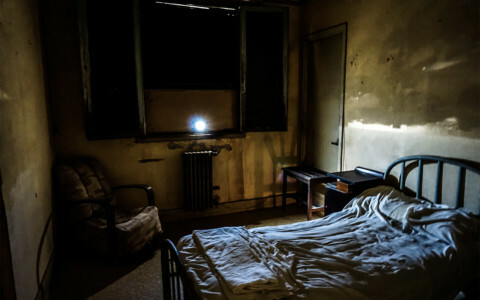 Additionally, many claim to have sighted shadow figures, heard disembodied voices, whispers, slamming doors and other, strange, unexplainable noises throughout the empty hotel. Looking for ghosts inside the Eden Hotel. One of the most haunted places in Argentina. I myself encountered some strange, unexplainable phenomena within the hotel, which I managed to capture on video. 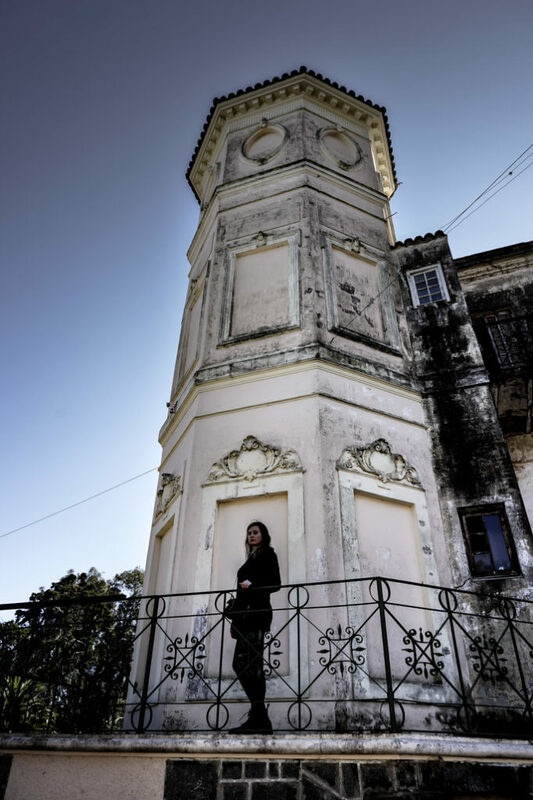 Looking for the ghosts of the Eden Hotel in La Falda, Argentina. The Eden Hotel is a truly creepy destination to visit. It feels as though its walls hold more secrets than anyone will ever know and there is a strong energy present. It lies just an hour and a half outside of Cordoba, Argentina and provides visitors with a steady and scenic drive. Entry is cheap and self-guided or guided in Spanish tours are available. Make sure to request access to the upper floors and check out the other abandoned buildings scattered across the property. The Eden Hotel also hold late night ghost hunts at certain times throughout the year. Exploring more abandoned buildings on the Eden Hotel’s property. 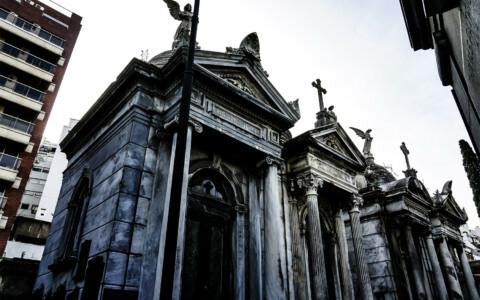 If you enjoyed this article and are looking for other scary destinations in South America, I recommend checking out the haunted ghost town, La Noria, and its cemetery. Thanks for your comment Jackie and thanks for reading. It was a really cool place to visit, highly recommended.